We have now completed a free AZTEC software upgrade. 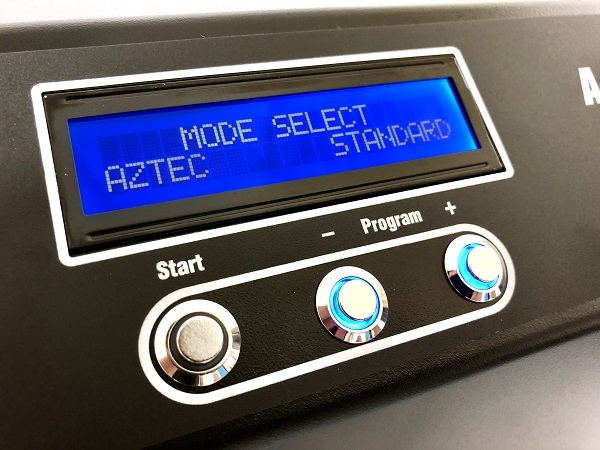 If you have purchased AZTEC you can download it to your unlocked annealer by repeating the same process as the first time you downloaded AZTEC. The program will remain unlocked. The new software version will show as S=0.85D* M=A.10 on your LCD on start up. Secondly, this update deletes "Sort” mode. As we have already publicised, "Sort” doesn’t live up to our first expectations. It only detects dimensional variations, not mass, and can be erratic in some annealers. We believe it is not fit for the intended purpose, which was to assist in selecting the correct sacrificial case. The new linear annealing codes and study paper make that process much more reliable. Thirdly, an algorithm and pilot code (046 A) has been added to allow the WSSM family of cases to run on AZTEC. Because it is a separate algorithm, the first digit in the four-digit code will be 1. All annealing codes for other cartridge will start with 0. The new linear codes have allowed us to check and refine a number of our pilot code settings. For example, 308W cases now use pilot code 011 B. This will give a slightly softer annealed finish than the previous pilot code and will be very accurate. We featured multiple brands of 308W in the above study which confirm this. Because of these refinements and the information in the study paper, we recommend that repeating the sacrificial case procedure will be worthwhile. Please first re-check the AZTEC pilot codes on this page: https://www.ampannealing.com/aztec-settings/#settingtable for any alterations, in particular the A, B, C suffix. Even if the code is the same, the value may have been improved. To assist you with this, we have added one * to any AZTEC pilot code cartridge listings where the annealing value has been adjusted, and two ** where both the value and the suffix have been adjusted. We are constantly looking at ways to improve our annealing system. We trust you will enjoy using the new linear codes and the added precision they can deliver.